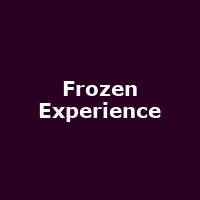 "Get ready for a fun-packed, festive Frozen experience, featuring a snowy forest walk through leading to a twinkling ice palace complete with falling snow! Meet the adorable Olaf, enjoy a singalong music show with Anna and Elsa performing your favourite songs from the movie, including a spectacular 'Let It Go' finale, then meet the characters and capture the moment forever by taking your own photograph with the characters. Lots of fun for our young visitors and their families! Please note that this is an unofficial event and not endorsed by or linked to Disney's Frozen."